Clinical trial participants are on the front line in the fight against Alzheimer’s disease. These heroes are making a difference both being part of research and encouraging more people to volunteer for clinical trials. Her story: In 2002, after her mother was diagnosed with Early Onset Alzheimer’s Disease, Karen shifted her focus to raising awareness and fundraising for the Alzheimer’s Association. She has been an active board member of the Chicago Rita Hayworth Gala Committee and co-chaired the 2014 Chicago Gala. In 2015, Karen joined the UsAgainstAlzheimer’s board and is focusing her efforts on advocating for increased focus on Alzheimer’s prevention efforts. His story: Richard lost both of his grandparents to Alzheimer’s. He was also the primary giver to his uncle and his mother, both of whom died from the disease. In fact, Richard is reading an unpublished book by an ancestor who came to the United States in the 1830s whose mother seems to have had dementia. Richard’s family history and knowledge of the dire need for effective treatment were the motivating factors that led him to sign up for a study at Great Lakes Clinical Trials. Greg O’Brien, Cape Cod, Ma. His story: An award-winning investigative reporter and author, Greg was diagnosed with early onset Alzheimer’s in 2009. He has been writing, chronicling, and talking about the process ever since. Greg’s book, On Pluto: Inside the Mind of Alzheimer’s , has been described as “heartbreaking, defiant, profound” and a new edition was just released this summer. 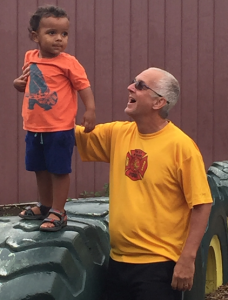 Greg has served on the national Alzheimer’s Association Early Onset Advisory Group, is a patient advocate for the Cure Alzheimer’s Fund of Boston, and is a board member of the distinguished UsAgainstAlzheimers in Washington, D.C. 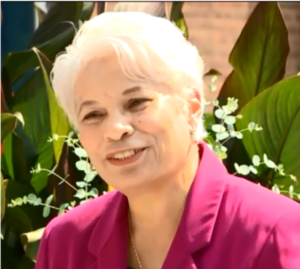 Her story: Daisy is a caregiver, clinical trial participant and advocate for the LatinosAgainstAlzheimer’s Network. 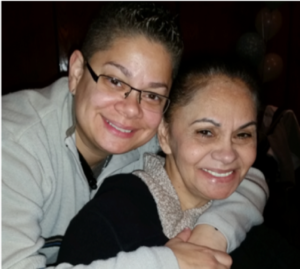 She has been a caregiver for her mother, Sonia, who was diagnosed with early onset Alzheimer’s in 2013 at age 55. In 2014, Daisy tested positive for the gene linked to early onset Alzheimer’s disease. As one of the few Latinas enrolled in an Alzheimer’s clinical trial, Daisy is committed to raising awareness of the importance of Alzheimer’s research and funding. Barbara Walker, Lee’s Summit, Mo. Her story: Barbara was a caregiver for her husband, Harvey, who was diagnosed with Alzheimer’s at the age of 56. She was his caregiver for 6½ years before he passed away due to complications of Alzheimer’s. They were married for 38 years and have 3 daughters and 7 grandchildren.